Humans are emotional creatures and when wanting to encourage people to make a behavior change, it is not enough to only appeal to their rational mind. The motivation to change behavior has to be intrinsic. Thus, we have developed a strategy to inspire women to want to take PrEP. launching a full-price product in the private market first. Women truly believe in a product when they hear about it from people just like them who are using it and who it is working for. 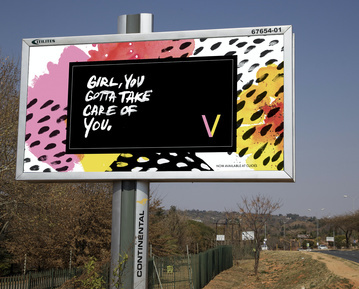 Again and again, we saw women in South Africa who believed in the product so strongly that they were willing to go out and spread the word for us, even without additional compensation. We need to empower them to be able to do this efficiently, effectively, and with accurate information and adequate resources. We also heard that there is greater desire for a product when it feels local—made by locals and supported by locals. As such, we recommend recruiting influencers (or peer champions) in local communities to help spread the word by hosting local events and parties. This doesn’t necessarily mean the coolest or the hippest girls, but those women that people turn to when they seek advice, and who are true believers in PrEP and are willing to spread the word. Women who are seen as empowered, successful and intelligent that other women look up to. 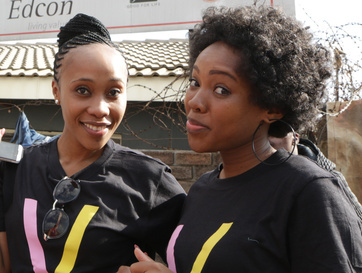 Ideally, these women should not be affiliated with public clinics to avoid being associated with the “you’re sick” stigma (that if you’re visiting a clinic, you must be sick). To signal that Ambassadors are members of tribe, produce swag like custom t-shirts. Use the style guide with the logo, colors and pattern and get as creative as you want—it’s easy to buy promotional swag online, like custom pens, cell phone popsockets, and even V-brand nail decals. We’ve included lists of online suppliers for these items in the Implementation Recommendations section. 1. Word of mouth can make or break you: Women truly believe in a product when they hear about it from people just like them who are using it and who it is working for. 2. If it’s medical, you’re sick. Hosting parties and events inside & outside of her home to promote V and help women stay on track and stay engaged. One event a month commitment is ideal. Give them a stipend and let them get creative! 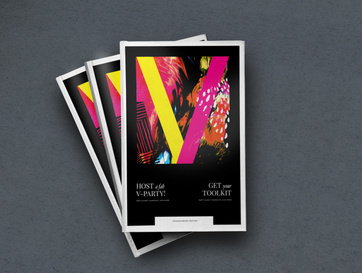 Posting about V on blogs, websites, social media, etc. Even if you launch through public sector distribution channels, use advertising to create demand and desire to get involved and to create the feeling of a private-sector product or a big brand. This can be as ambitious as a full-scale advertising campaign across print and radio, or as simple as having Ambassadors post on social media with #thatpill. In order for a woman to believe that a particular PrEP product will be medically effective, she must first be aware of and believe in PrEP as a category. Because we believe that the effectiveness of a messaging campaign for a particular PrEP product (such as V) will be negatively impacted by having to focus on its medical efficacy and the heavy educational lift required to ensure this level of understanding, we recommend separating campaigns for the product(s) from campaigns for the larger category of PrEP / HIV prevention products. The campaign for the category should precede any campaign for the specific V product, and focus on establishing a rational belief that PrEP is medically effective. This will likely be most effective through more traditional public health messaging strategies from trusted institutions, and, luckily, many countries are already doing this through national programs. With belief in PrEP’s medical efficacy established, the campaign for the V is free to appeal to women's emotions and aspirations, which are more effective at generating desire and demand for a product. 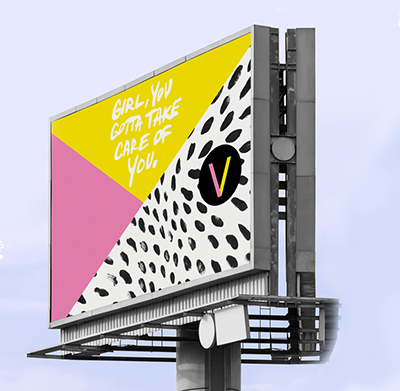 Just make sure that all advertising should either direct people to their local clinic or to a website for V to get more information so women can quickly backup the emotional draw with compelling facts. If there is no funding for both, it is recommended that the more educational-based messaging is kept within clinic environments, while the more desire-inducing messaging stays outside of the clinic. Let’s keep it fresh and sassy, ladies. 1. A product that’s seen (and paid for) in the private sector first builds both desire and trust. 2. People are cautious of being conned. 3. Using words like “HIV” and “ARV” causes disinterest. 4. If it’s medical, you’re sick. We heard in our research that women are skeptical of free prevention measures they are introduced to in the context of a public clinic, and assume private sector products are both higher value and higher efficacy. Launching V first in the private sector negates both this mental bias and the fear of being seen as sick if you visit the public clinic. While this may not be directly targeting the highest-risk population, it does so indirectly by creating desire among more people. By visibly launching a fully-priced product in the private sector, you can create a mental anchor point in the minds of women that will persist even if the product is subsidized in a public clinic later on. Establishing this higher perceived value makes women who are receiving the product for free in the public sector suddenly feel as they are “winning” and have greater desire for the product. Ideally the launch should also occur in influential urban areas (such as Johannesburg). Having something released in the “big city” and be popular with aspirational groups, like successful, intelligent and empowered young urban women, greatly enhances belief and desire across the larger population of women, including low-income and rural women. If you can’t actually sell V commercially because of regulations or resource constraints, you can still use this mindset to achieve similar mental anchoring effects. For example, you could ask permission to put posters up in unexpected private sector locations, like private pharmacies, or even clothing or popular retail stores. 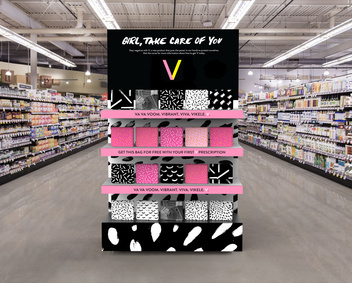 If the problem is regulations around selling (or reselling) medication, you could sell other products that have the V branding, such as the bag from the starter kit, in local stores. This would both offset the cost of the implementation and keep the bags from getting an overly medical association. 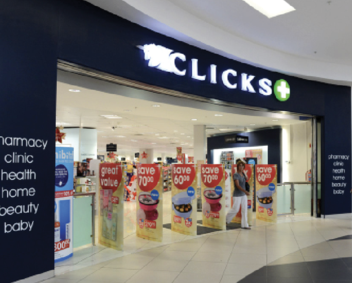 You could even approach private sector partners (for example, in South Africa, Clicks, a large pharmacy chain, or Discovery Vitality, a medical insurance company focused on and incentivizing preventative care) about offering points from their existing loyalty programs for attending a V testing day. 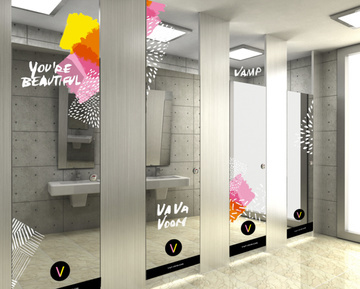 Or talk to private sector lifestyle and beauty brands about creating co-branded products (like a V lipstick! ), where proceeds from the sale contribute to funding VPro. When the brand looks this good, people are excited to get involved! 2. People are willing to go out of their way to visit private clinics and pharmacies where they can receive better service, even if they can’t afford it. - Intervention to prioritize for V Lite! Engage a partner like Instant Grass International, a research organization focused on the youth of Africa, to recruit Ambassadors with specific qualities (age, location, income bracket, style, etc.) that are aspirational to the woman you are trying to reach. Retaining an external recruiting agency (like Instant Grass in South Africa) can cost a few thousand dollars U.S., but it’s an upfront cost you only have to pay for once, since once you have a set of Ambassadors, they can recruit new ones. Create a welcome kit that includes the guide, a set of pamphlets, an Ambassador certificate and at least one item of swag. Work with a local printing shop (or do it yourself with a printer and saddle stapler!) and order swag online. Host a small party for these women to educate them on the brand and the offering. If, and only if, they seem excited about the product and telling others about it should they become V Ambassadors. It is very important that these women genuinely believe in the cause and are not extrinsically motivated by money alone. Speaking of money, the easiest compensation model is to pay Ambassadors a fixed monthly amount based on local labor costs, along with a stipend for events, transportation and data costs. You could also try a variable compensation model based on performance, such as paying them by the number of woman they recruit for their events, or to become patients or future Ambassadors. To track patients, you would need to give each Ambassador a unique business card to have women turn in when they pick up V, and collect them from the dispensing pharmacies. Get all your Ambassadors together each month to socialize and share tips. Provide food and drinks! Attend local female empowerment events to identify potential volunteer Ambassadors instead of using a recruiting agency. If you can’t pay Ambassadors (either for funding or regulatory reasons), you should still give them a stipend to cover transportation, events and data costs and reward them for good performance with swag or other small gifts. Engage a local advertising agency to create a marketing plan, adapt materials from this site (like building the website or translating copy into local languages), and create new materials relevant to local markets (like radio ads). They should check local regulations and manage media buying, production and installation. This is likely a good investment if you are working in an area larger than just your local community and they can help you set and navigate a budget. Ask Ambassadors to start a social media campaign with hashtag #thatpill. Buy data cards for Ambassadors if you are asking them to use their cellphones to make social media posts with the provided advertising designs. Build a public-facing website to provide information specific to your country context (you may need to engage an ancillary partner if your ad agency doesn’t do this). Talk to a local attorney about the regulatory environment in your location. If you don’t have a lawyer in-house, you’ll need to buy a few hours of their time. Create a simple website on Squarespace or a similar platform that only costs a few dollars U.S. each month to keep online. Or just create a branded Facebook page. Create a DIY campaign leveraging your Ambassadors. Ask them to help you with translation, printing posters and getting them put up around town. Double down on a social media campaign and hashtags that link back to your Facebook page or website. If you don’t have money to formally buy advertising, just ask permission from local stores that cater to the women you want to recruit to put up posters. Consider buying a few local Facebook ads, which are very inexpensive. Put them up yourself, or hire some local tech-savvy teenagers to help you. Consider free or low-cost email marketing services, such as Campaigner, Constant Contact, Vertical Response or MailChimp. Approach the pharmaceutical company and/or government agency supplying the drugs to discuss selling the product commercially as an initial roll out strategy and/or long-term solution to make a subsidized product more sustainable. If you get buy in, you’ll be able to approach logistics, manufacturing and advertising together. Explore the “buy one, donate one” business model to use the full-price product to fund publicly subsidized distribution. For example, in South Africa, interviewees were willing to pay up to R200 a month for V if they thought some of that money would help pay for a less advantaged woman’s kit. This could be especially appealing to government partners as a means of optimizing domestic funding. If you are going it alone, retain a lawyer to help you navigate local regulations and establish a non-profit business entity for private sector launch. To keep track of the money coming in and out, consider retaining a local bookkeeper with an hourly rate. If you want to do this long term and at scale as a strategy to subsidize distribution to women in need, you should consider setting up a more robust operation. The cost of running the organization will vary based on scale and the resources you and your partners have at your disposal. At a minimum you would need staff to manage the brand, manage the books, and maintain partner relationships (which could include manufacturing and logistics of starter kits). For this approach, we recommend checking out the detailed model in the Implementation section and adjusting the assumptions based on capabilities or your partners already have, and local costs. It might seem like a big lift, but people start small businesses every day! Create a similar effect by being intentional about where you place your advertising materials (i.e. in popular stores, private pharmacies and private clinics). Approach local pharmacies to see if they would sell V-branded bags in support of the initiative. Consider only selling the product commercially prior to the public sector launch. That way you don’t have to worry about setting up a business that can operate long-term, and you may be able to get away with treating it legally as a fundraising campaign instead of a non-profit business. Kind of like fancy bake sale!